We have finally gotten a nice break in the weather. Since I moved to Portland ten years ago I can’t remember ever experiencing so many days over 90 degrees. This week is the first time this summer that feels like summer to me. The one benefit to this unusually hot weather is that the local produce is arriving earlier and tastes better than ever. 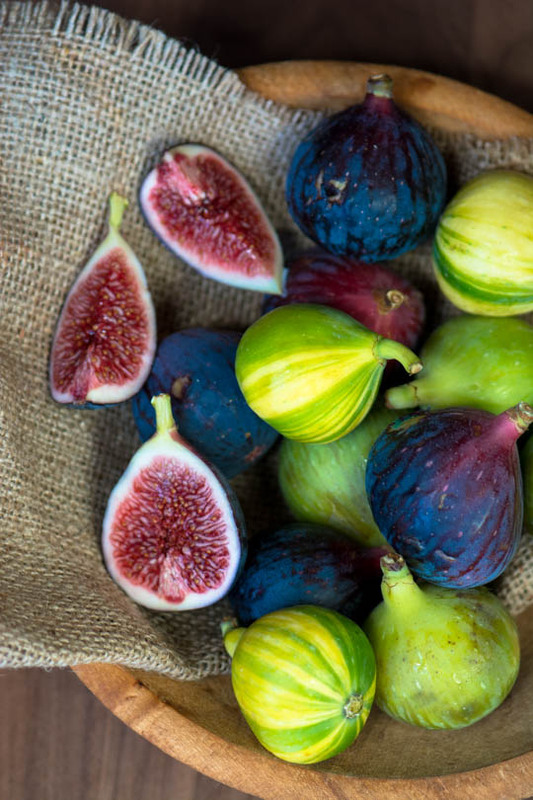 I’ve been gorging myself on berries, melons and now figs. 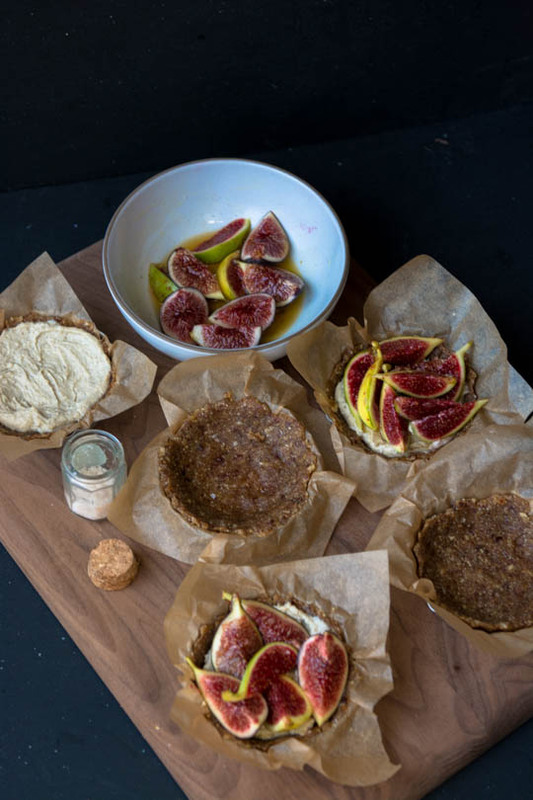 I’m perfectly content to eat a bowl of figs with a drizzle of honey and some flaky salt but I thought I should offer you something a little bit fancier. 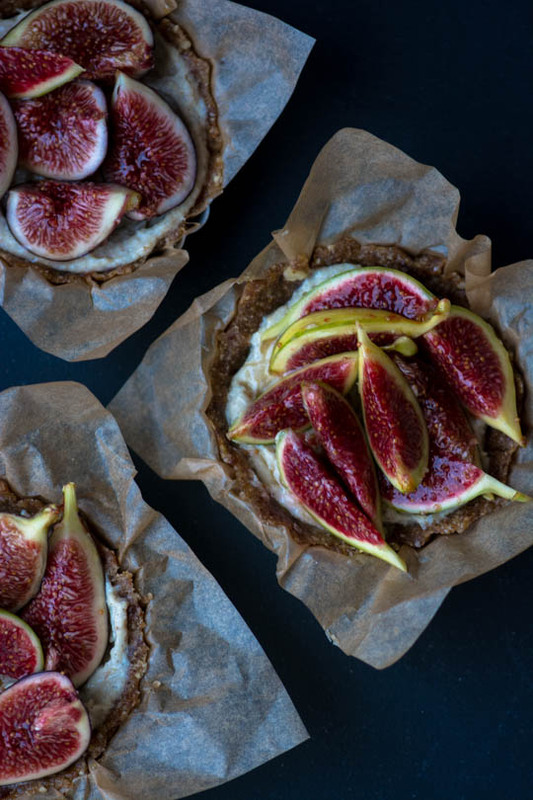 This is a really easy tart that you can put together in 30 minutes or so once you soak the cashews. 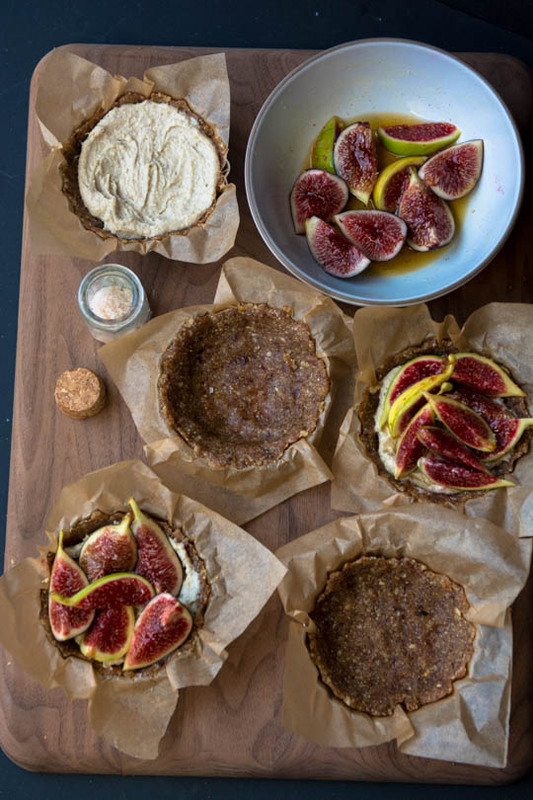 I soak an entire vanilla bean with the figs and then process them both in a high-speed blender along with some maple syrup. 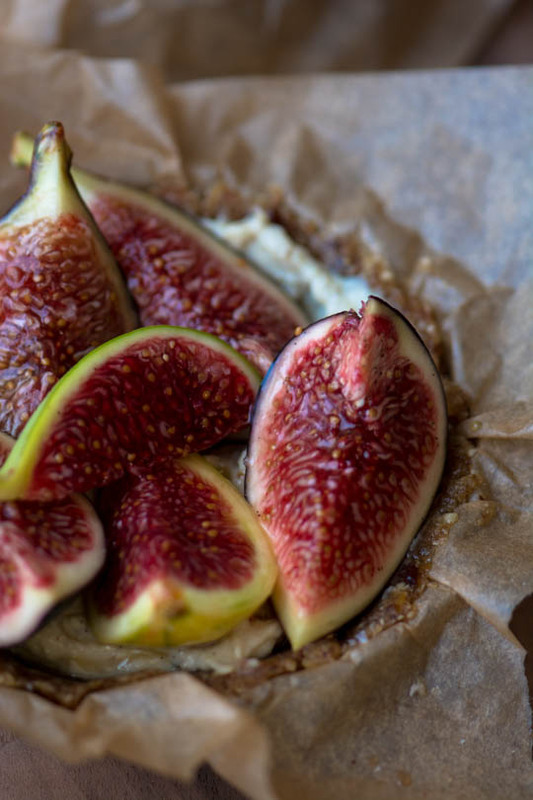 The figs are lightly coated with honey and then the tarts are finished with some Maldon salt. I am a huge fan of processing the whole vanilla bean into my sweet desserts but if you don’t like the idea you can substitute with a teaspoon of good quality vanilla extract instead. 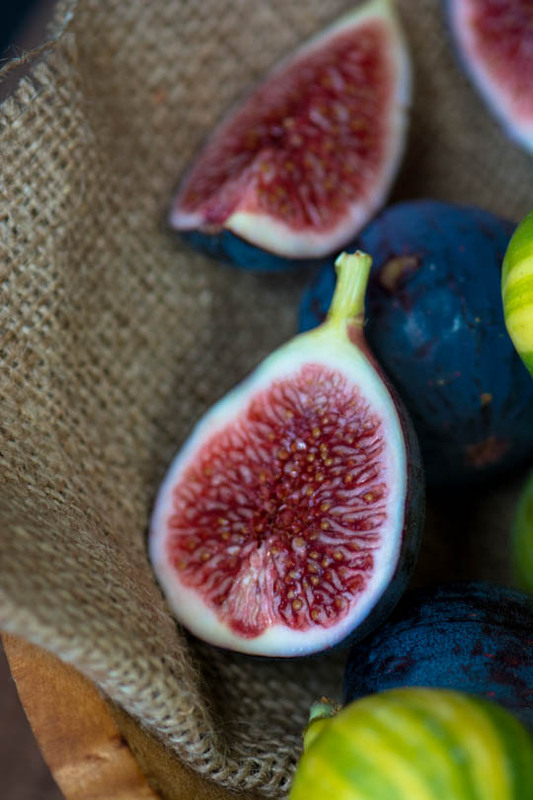 If figs aren’t your thing, you could use blackberries, blueberries, strawberries or anything else you’d like. 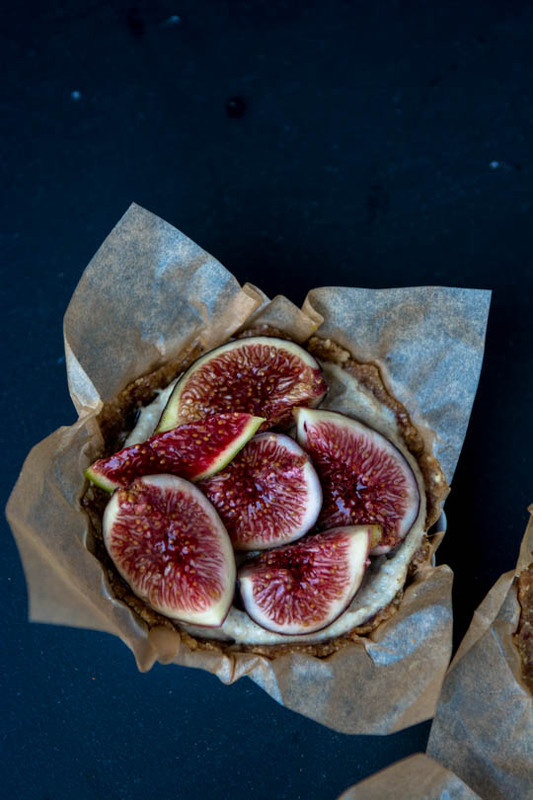 You can make the filling and tart shells ahead and then just slice up the fruit and assemble right before serving. The filling will keep in the refrigerator for 3 days on it’s own or you can freeze the filling for up to 3 months. 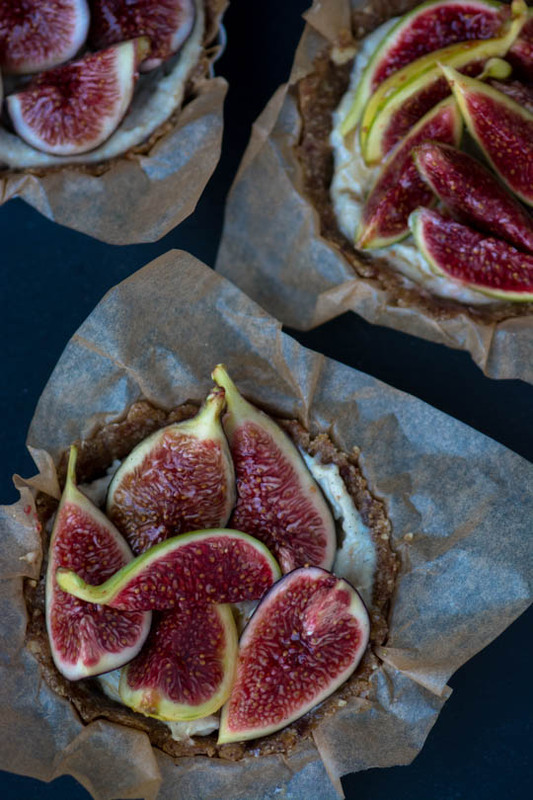 These tarts are perfect for those days when you don't want to heat the oven. Refined sugar free and bursting with the sweet taste of summer. Cover the cashews and vanilla bean with enough water to cover and let sit for at least an hour or up to overnight. Line a standard pie or tart pan or 5 3-inch mini tart pans with parchment paper. Add the walnuts, almond flour, cardamom and salt to the bowl of a food processor and process until you achieve a fine meal. Divide the crust topping evenly between the tins and press with your hands to evenly cover the bottom and sides of the pans. I find that having my hands lightly coated with water makes spreading the mixture easier. Place the lined tart pans in the freeze to chill while you prepare the rest of the ingredients. Drain and rinse the cashews and vanilla bean and add to a high-speed blender or food processor. Add the almond milk, maple syrup, lemon juice and salt and then process on high until the mixture is creamy and smooth. If it's too thick add a tablespoon of additional almond milk at a time until it spreads easily. Remove the chilled tart pans from the freezer and evenly divide the cashew cream using an offset spatula to smooth the tops. 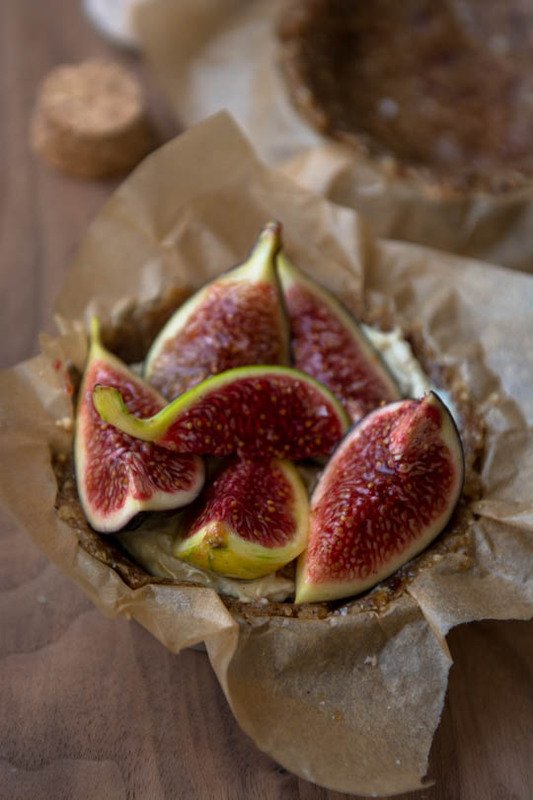 Combine the chopped figs with the honey and vanilla paste and toss to coat. 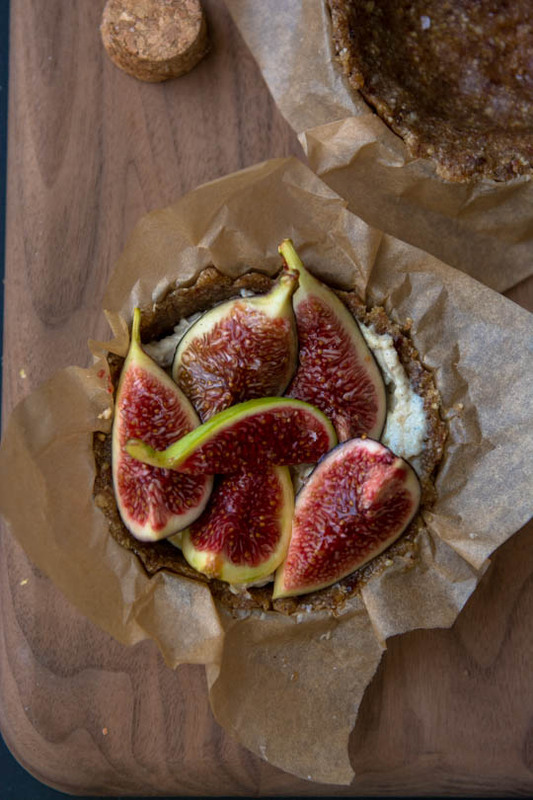 Layer the figs on top of the tarts and sprinkle with the sea salt. 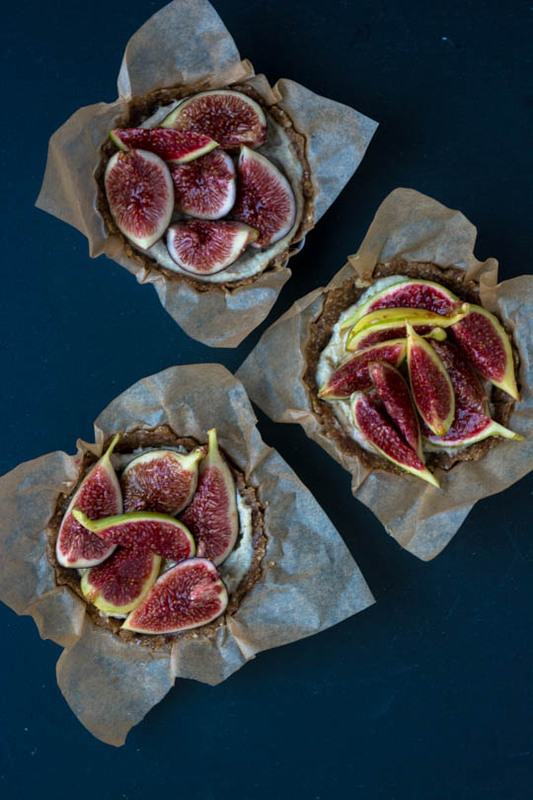 These look so delicious and I LOVE figs! Only problem is I can’t do the cashews 🙁 What would you substitute instead? Thanks.